Kanda AVRISP software is now available as a Free download. 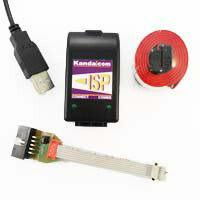 This software package supports all Kanda parallel port programmers supplied with Atmel and Kanda STK200 kits. It also supports most clones. This software is 32-bit only. 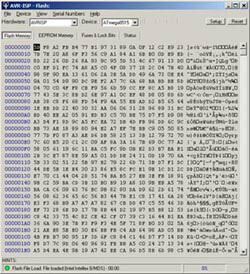 Kanda LPT programmer software will NOT work in 64-bit Windows OS, even in XP 32-bit mode under 64-bit Windows7. 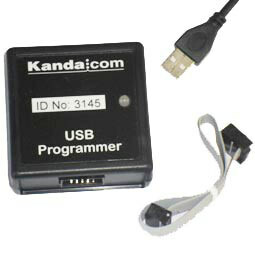 For Windows 64-bit support, you will need our low cost USB programmer. 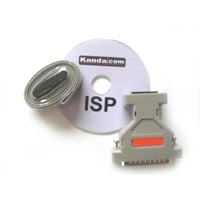 Kanda's low cost USB ISP version is the direct replacement for the parallel port one. This programmer includes an AVRStudio plugin so it can be run from within AVRStudio as well as using its own Interface. It is compatable with all STK200 and STK300 boards. Why not upgrade to USB? We have a Special Offer on our new low cost USB programmer for our existing users. Add this promotional code during checkout to get your 25% off - avrispu. The USB Version of the software has same simple interface but much faster speeds, plug and play USB and extra features! Not ready to buy yet? Well, below is your link to Kanda LPT software, but remember, you can use this code avrispu later to upgrade to our new improved USB programmer with 25% off. It is an In System Programmer (ISP) used to program your microcontroller in system, which means in your target circuit. This has many advantages, especially for firmware updates but you need to design your ISP circuit correctly. All programmers have either a 6-way or 10-way header that must be included in your circuit for easy connection. 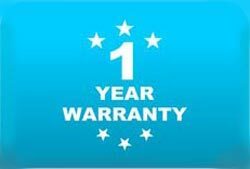 You must also avoid having too much capacitance on programming lines or reset ICs and other circuits wired incorrectly. Please see our Guide to ISP Circuits for more information. Low cost USB version. It includes an AVRStudio plugin. Original parallel port version of the programmer. 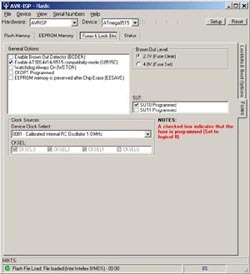 USB ISP programmer with JTAG and DLL support. Kanda supply our programmer range, PIC programmer range, Universal programmers, training boards, CANUSB and all our other products to electronic engineers worldwide.